Pakistani troops violated ceasefire for the third consecutive day today by targeting Indian posts along the Line of Control in Jammu and Kashmir's Poonch district. 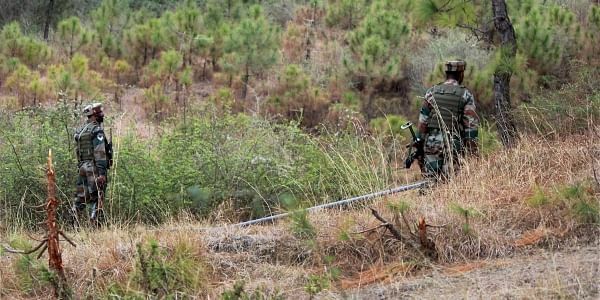 JAMMU: Pakistani troops violated ceasefire for the third consecutive day today by targeting Indian posts along the Line of Control (LoC) in Jammu and Kashmir's Poonch district. The Indian Army retaliated strongly and effectively, a defence spokesperson said. "The Pakistan Army initiated unprovoked and indiscriminate firing from small arms, automatics and mortars from 1430 hours in the Poonch sector along the Line of Control," he said. The exchange of fire continued till 1545 hours, he said. Pakistan forces had yesterday breached the truce in the Sunderbani police station area. On November 27, Pakistani troops opened fire in the Jhangar forward area in Rajouri. Pakistan had violated the ceasefire for three consecutive days from November 15 to 17 in Jammu and Poonch.